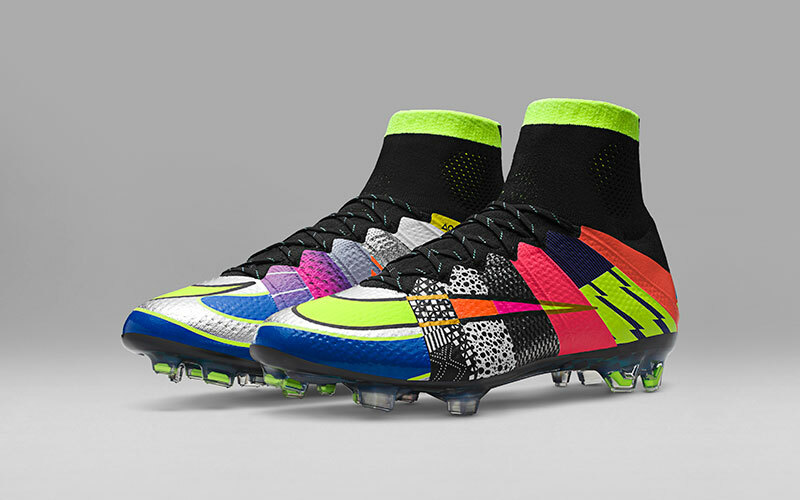 Nike have unveiled the ultimate footballing mash up, because what is better than one Mercurial? That's right, 16 Mercurials! On its debut in 1998, the Nike Mercurial was hailed for its radical, track spike-inspired design, engineered for cut-and-strike speed. 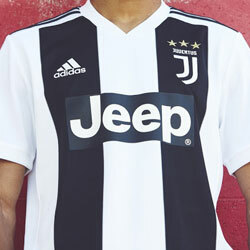 After all, “mercurial” by definition means unpredictable, and the players who have served as its muse are celebrated for their quicksilver play. 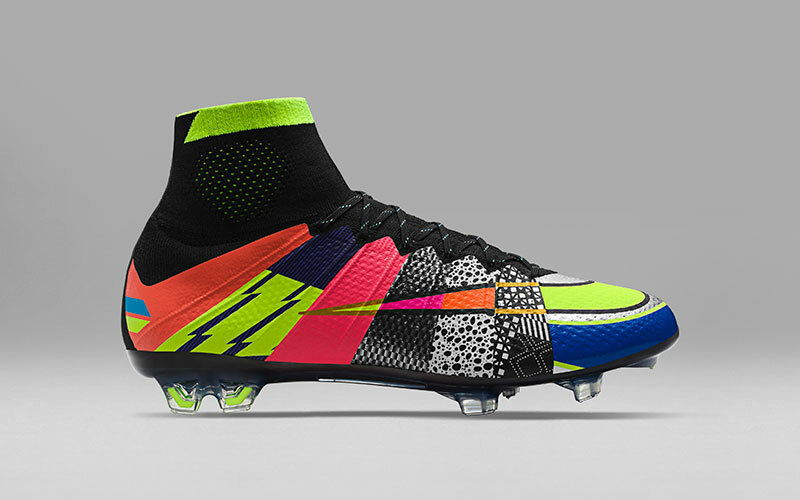 The “What the Mercurial” boot echoes this ever-changing nature, upending aesthetic expectations. At the same time, it nods to the boot’s rich style heritage by showcasing 16 of the most memorable Mercurial colourways on one bold shoe. 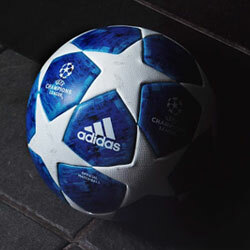 Just 3,000 pairs will be made of this special boot. 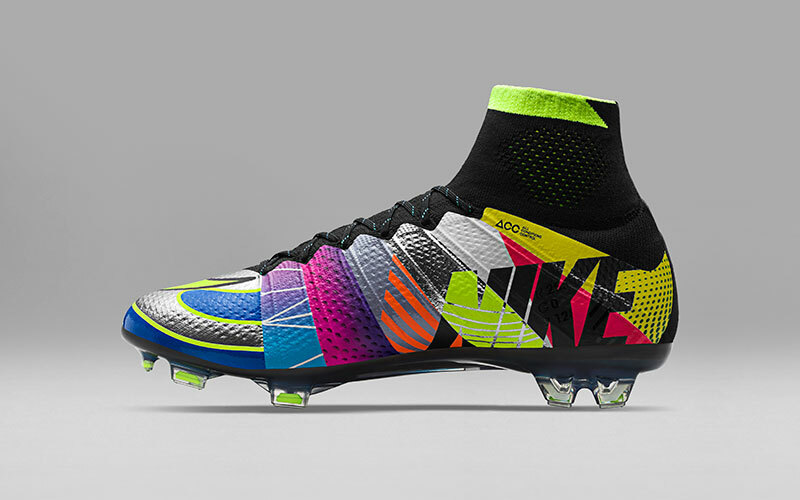 Beyond disrupting the pitch, the boot also extends the narrative of Nike’s coveted “What the” design themes. In 2007, Nike Skateboarding produced the brand’s first iconic colourway mashup, the Nike SB “What the Dunk” shoe. 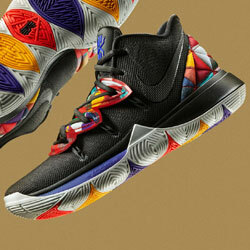 Then Nike Basketball elevated the concept, celebrating memorable signature basketball shoes beginning with the “What the Kobe” in 2012. Taking inspriation from Mercurial's of the past. “What the Mercurial” applies this eclectic treatment to football for the first time, crafting a time capsule of Mercurial history. Four past Mercurial logos are mashed up to create the logo on the heel tab and aglets. The left and right boots boast the same design, striped with iconic Mercurial colorways, while the sockliner showcases iconic Mercurial elements. In total, 18 colours from previous Mercurial iterations meld together into one Superfly boot — the most colours Nike has ever used in a football boot. 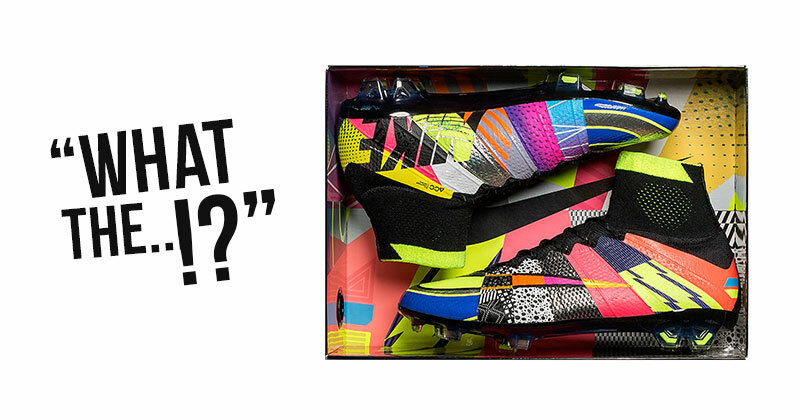 “What the Mercurial” comes in a “What the Box,” with the retrospective colour mashup on the inside. The “What the Bag” is designed with the combination of four logo fonts on the front and a timeline of iconic Mercurial boots on the back. 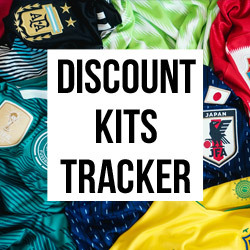 You will stand out on the pitch in these. 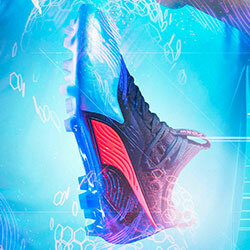 3,000 “What the Mercurial" boots will be available beginning May 5.